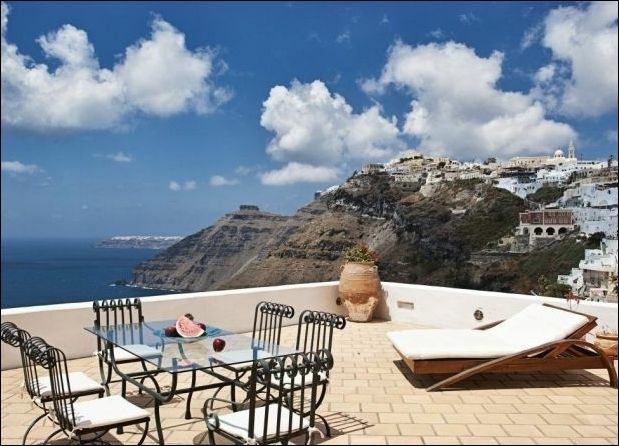 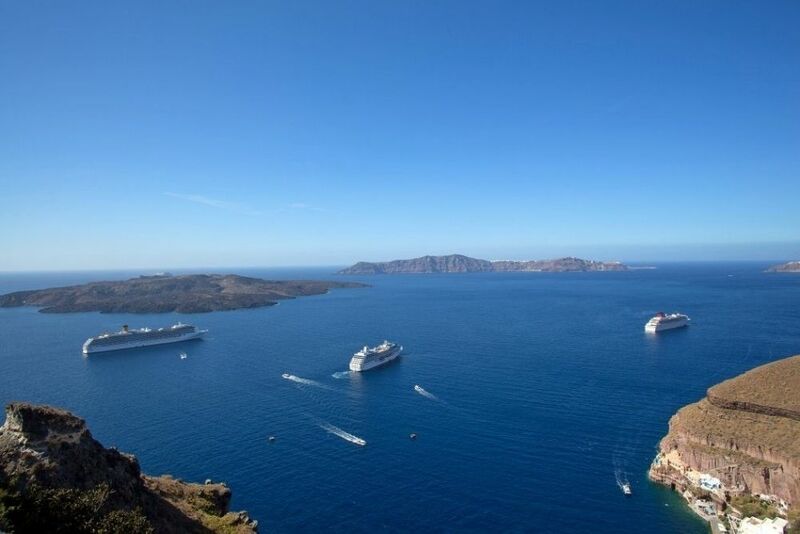 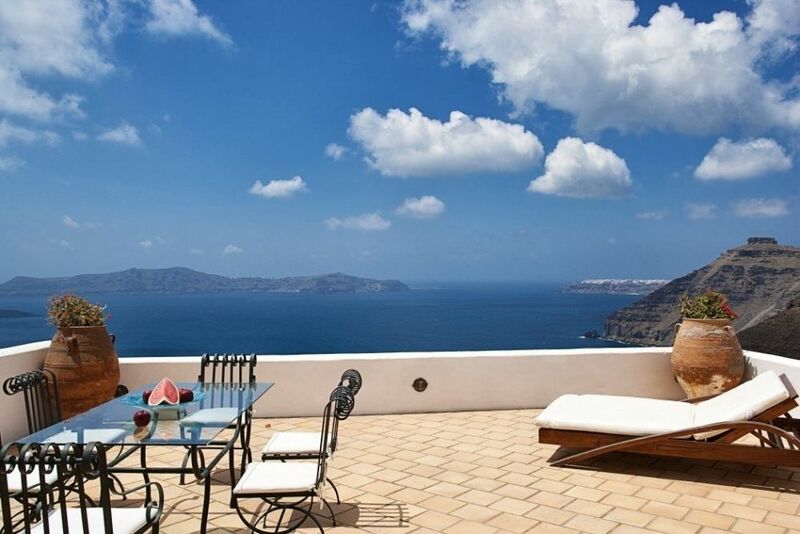 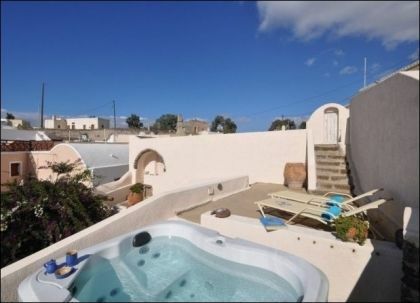 Luxury villa in Santorini is situated in the heart of Fira just a step away from all the famous restaurants and the cosmopolitan life of Santorini but hidden in a quiet, picturesque neighborhood of Fira and Santorini. 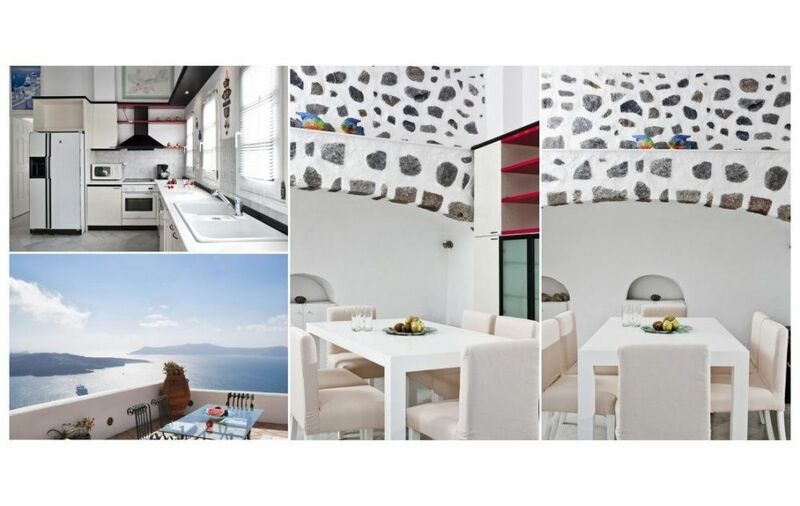 This Santorini Villa overlooks the volcano and offers stunning views of the Aegean and the most beautiful sunsets in Santorini, serenity and peace. 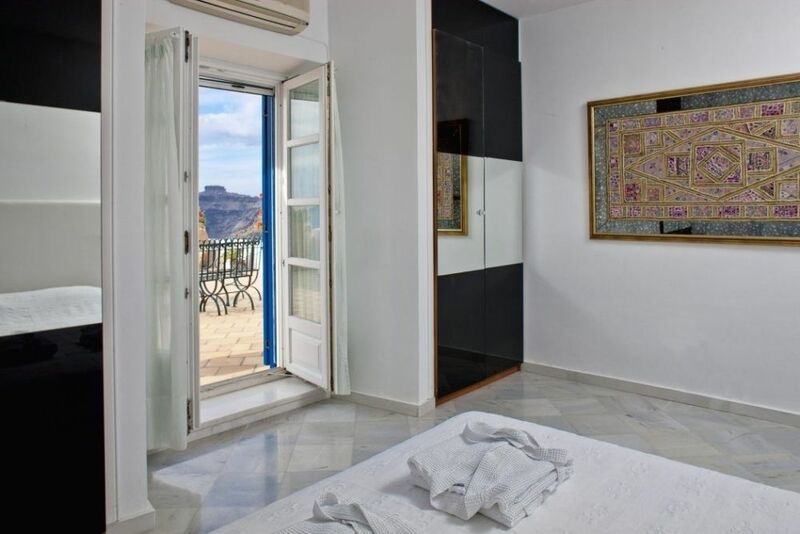 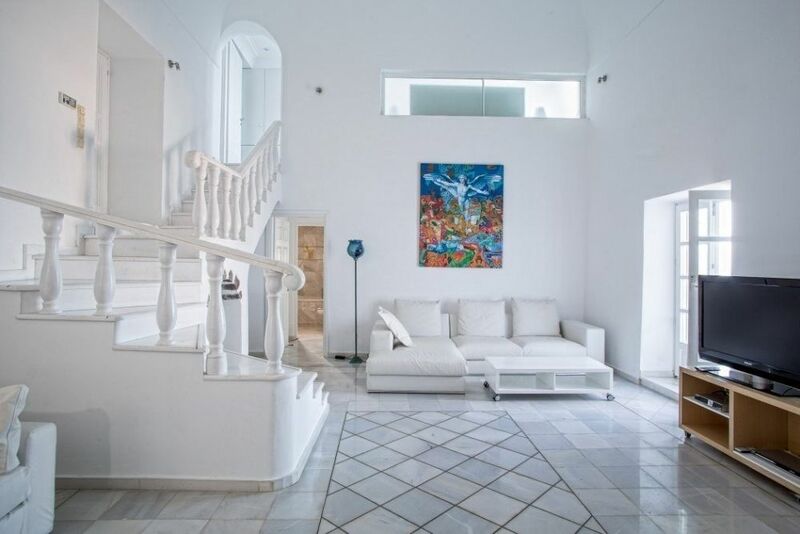 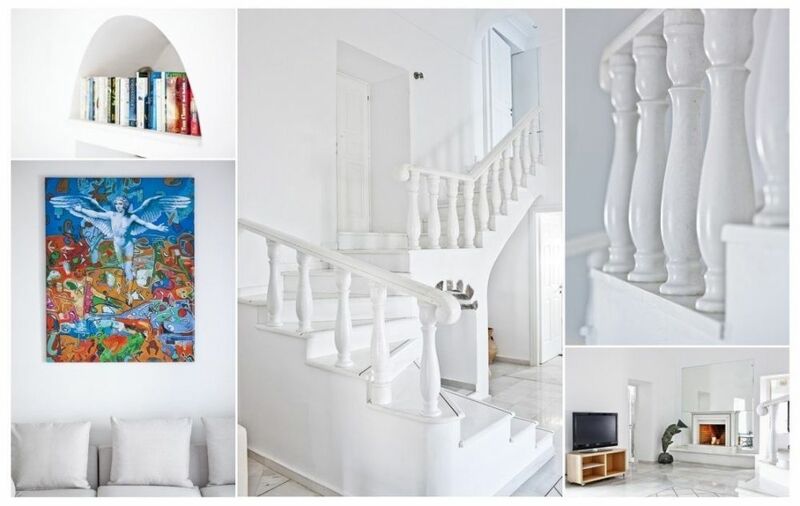 This luxury villa in Santorini is covered with white marble floors of Cycladic origin and has a large living room, two bedrooms and three marble luxury bathrooms. 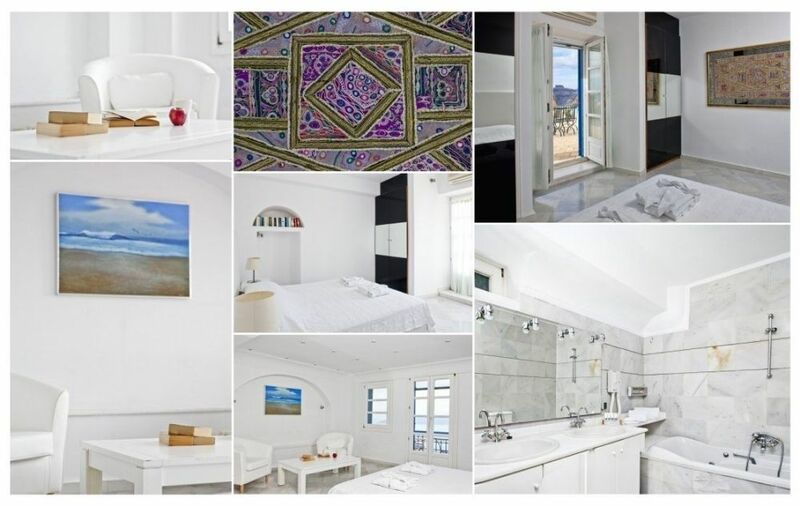 As you pass through the impressive entrance of the villa you enter to a fully equipped kitchen with all modern appliances including ceramic hob oven, large refrigerator with ice maker, dish washing machine, microwave and a white Italian dining table. 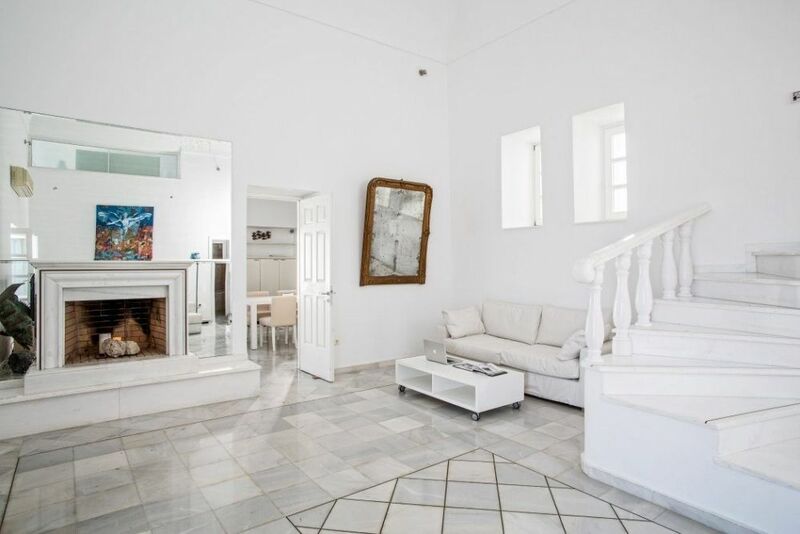 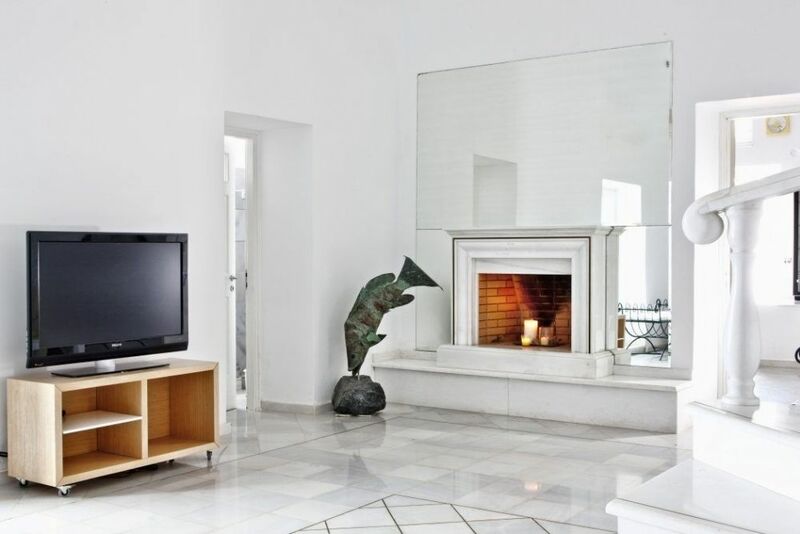 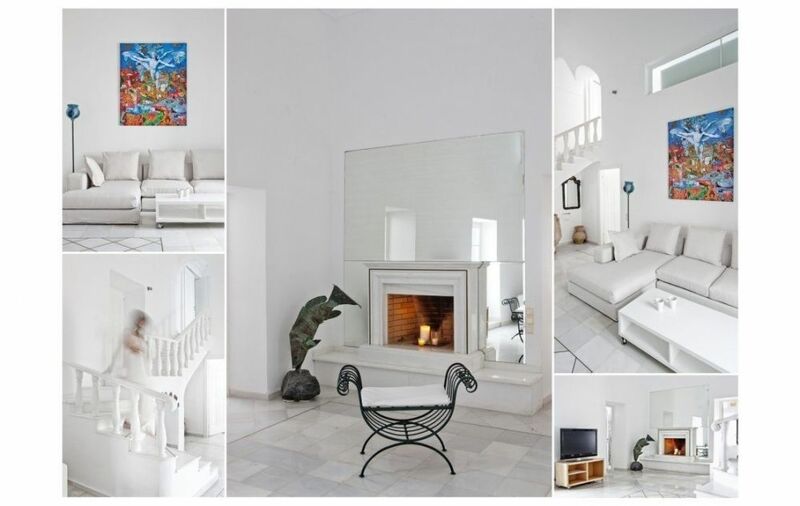 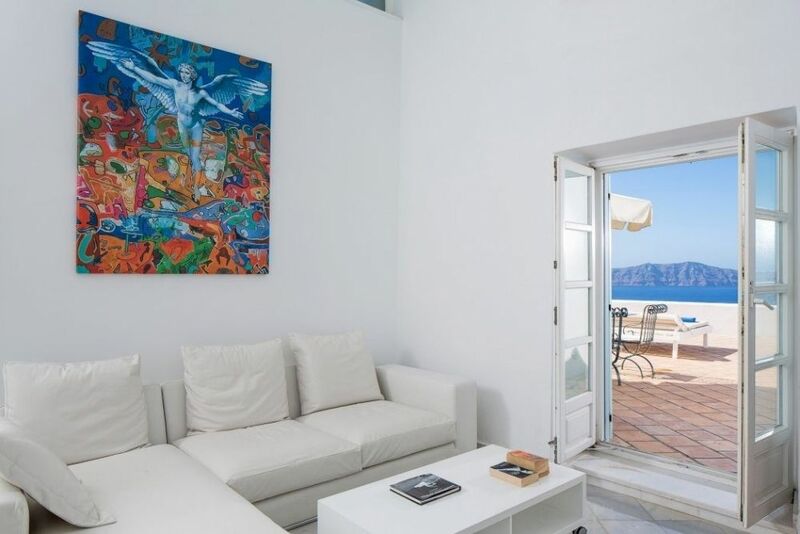 The large minimal living area of the villa has a comfortable sitting are with a corner sofa ,an extra sitting corner with sofa bed that can accommodate two extra persons, a marble fireplace in case you visit the villa and Santorini in the winter and is decorated with precious paintings and art objects. 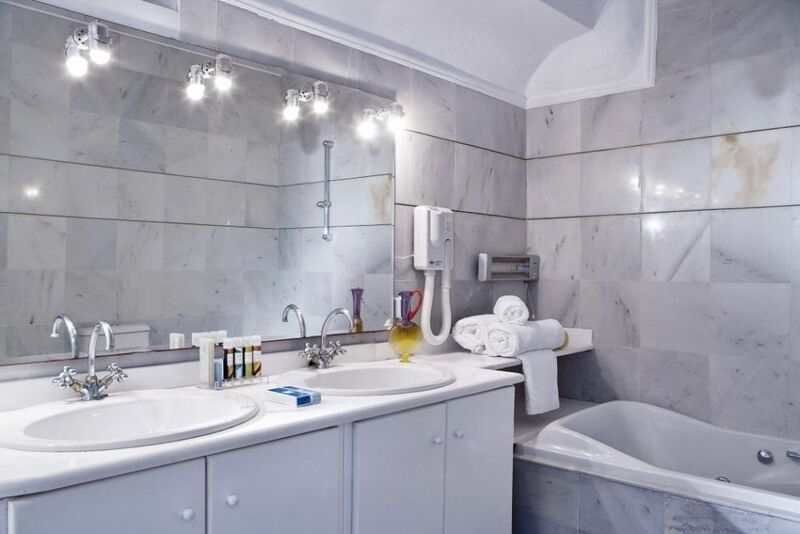 A bathroom with shower cabin serves the living area. 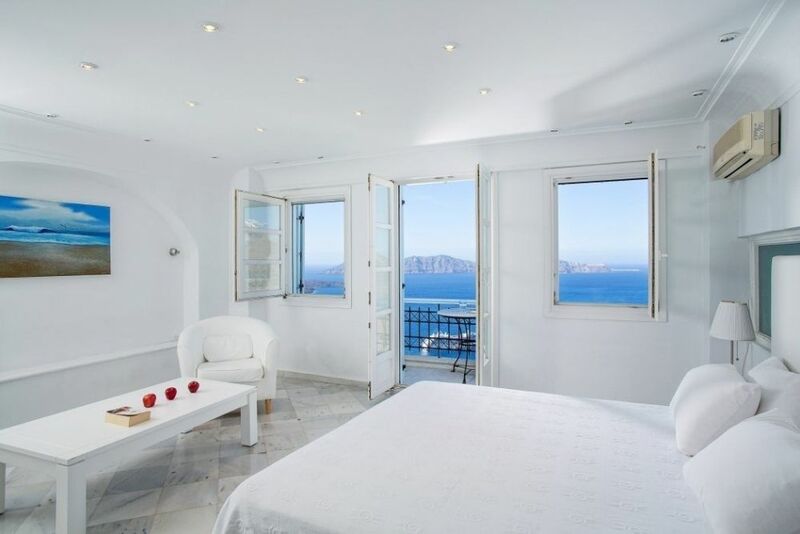 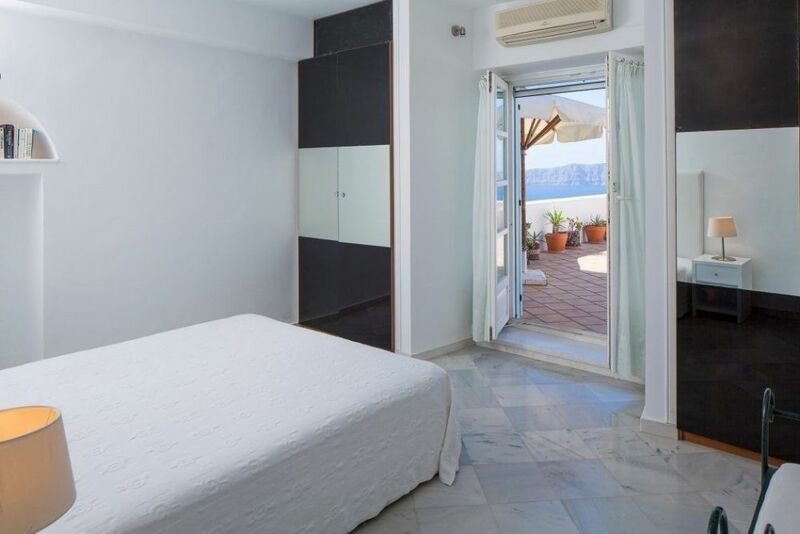 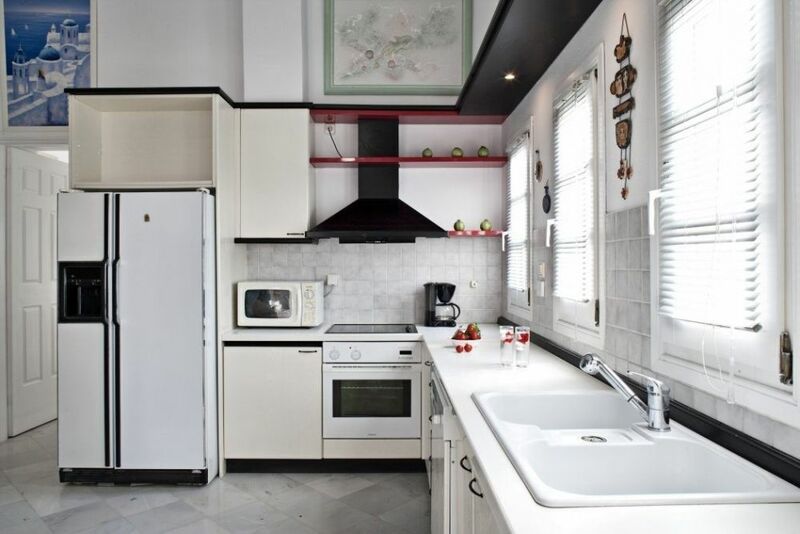 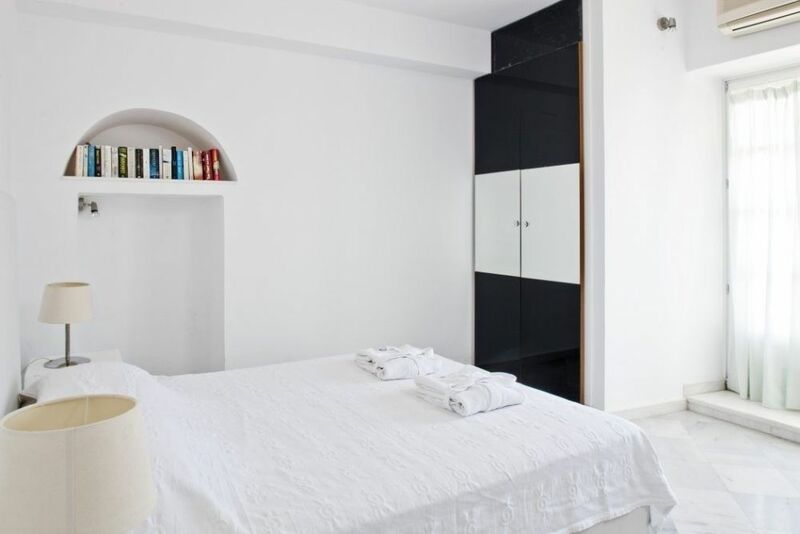 All the information provided on www.rentvillasgr.com is for your reference only and is not an obligation of the company to the potential customers or an offer. 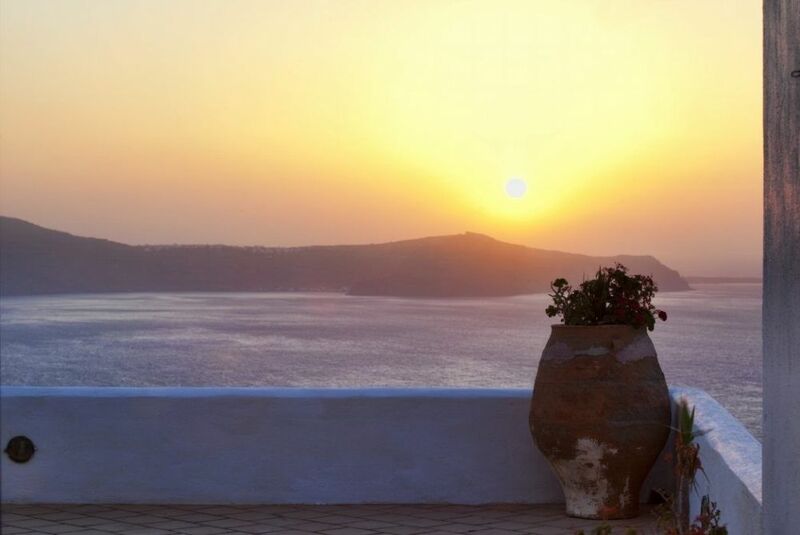 All submitted content is dependent on the current political and economic situation, and may change over time. 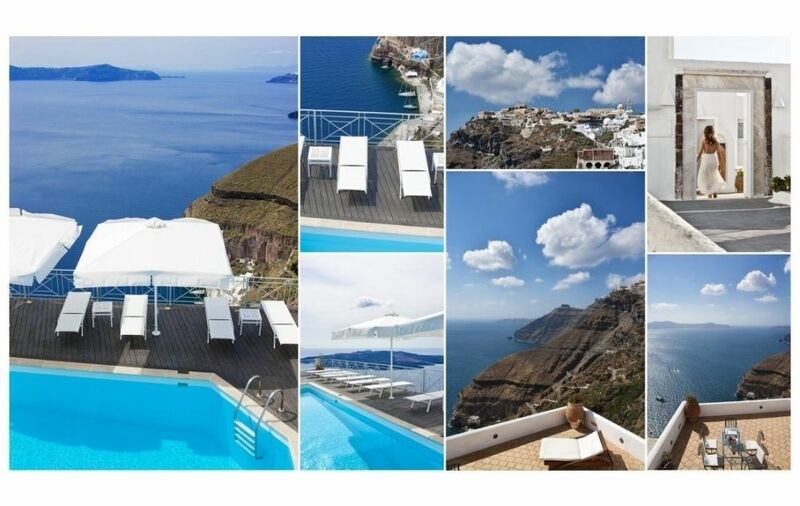 We highly recommend to request additional relevant information from our company.